Faraday's Law? "Oh...", "The relationship between change in magnetic flux linking...", "A student should be acquainted with CONTENTS of a definition ...". We shall present the concept of how to reconcile program requirements with the effective teaching of an age-old students’ nightmare - one of Maxwell's laws. As usual, this principle can be illustrated by a simple and effective experiment. 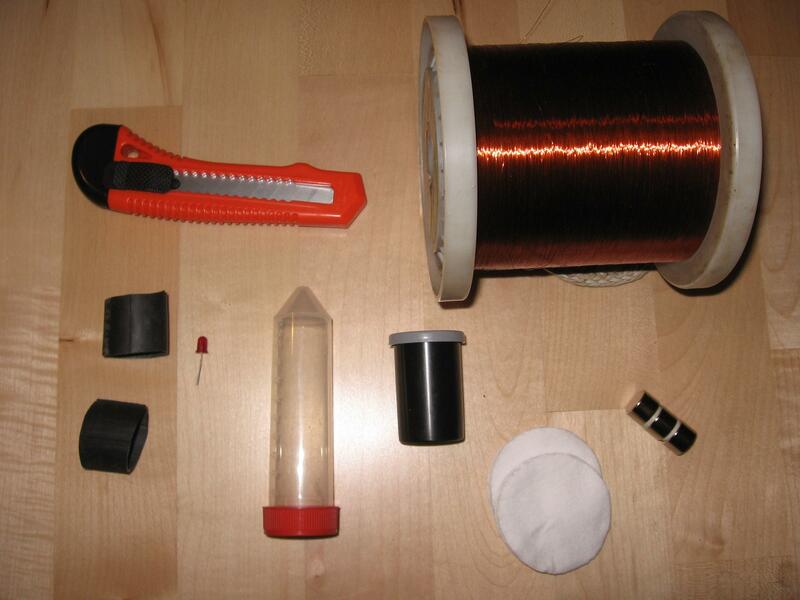 This time, we shall show how to build your own flashing flash-light alias bicycle dynamo. Use our Forum for discussion! Core curriculum: Electricity and magnetism. Lesson Subject: Faraday’s Law. Alternator. ➢ a bit of cotton wool. Wind around 300 turns of wire on the test-tube, as shown in Figure 2. The task may be facilitated by a piece of inner tube or rubber, which secures the wire and prevents it from slipping away from the tube. The wire should be winded-up such that both its ends have a length of at least 40 cm. After winding all the coils, scrape insulation off both ends - see Figure 3. Fig. 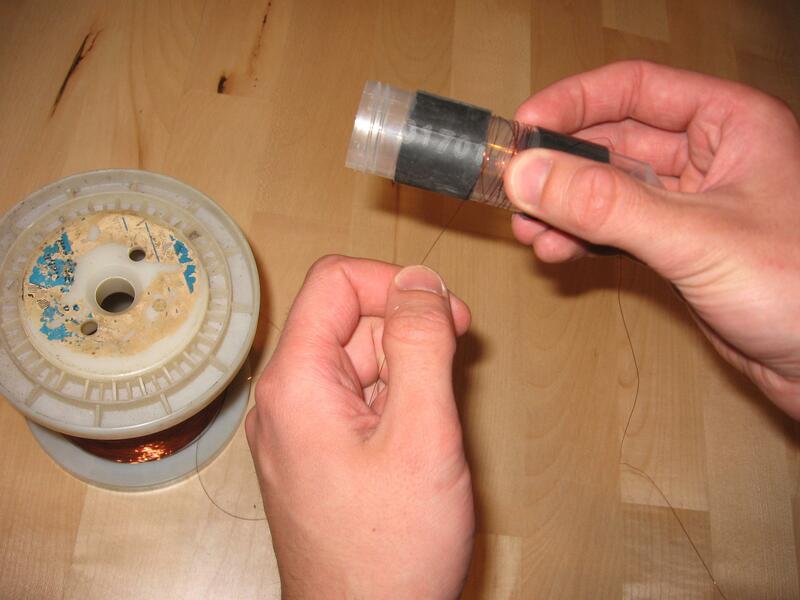 2 Wind 300 turns of wire on the test-tube ; secure the wire against slipping using a rubber tube Fig. 3. 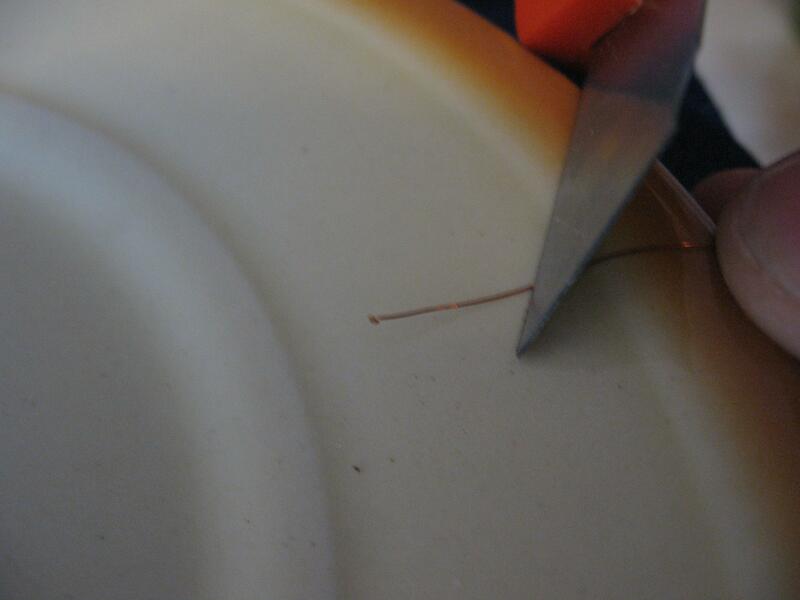 Using a paper knife, scrape insulation off the wire ends. To help observing the luminous diode, it’s possible to make a casing for it. 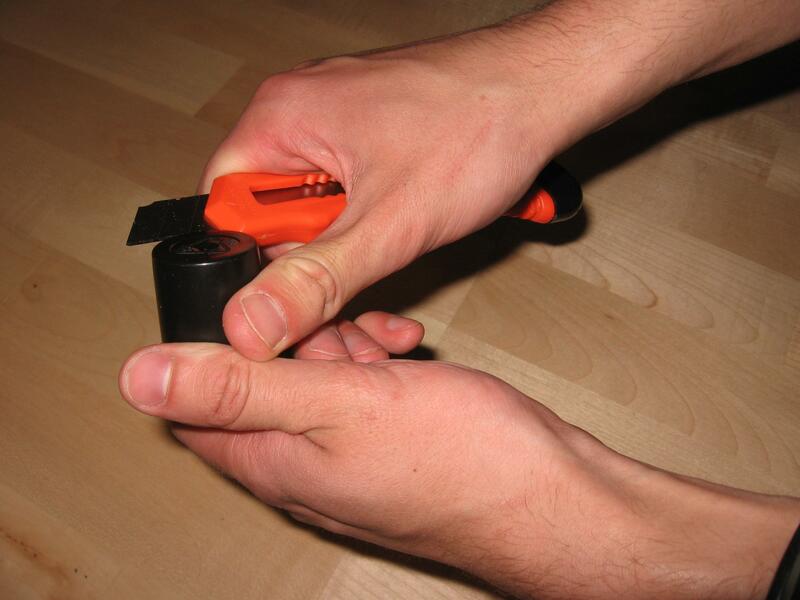 First, cut off the bottom of a film box, as in Figure 4. Next, make two small holes on the film box cap. Wire ends stripped of insulation are pushed through these holes and wrapped around the diode ends. 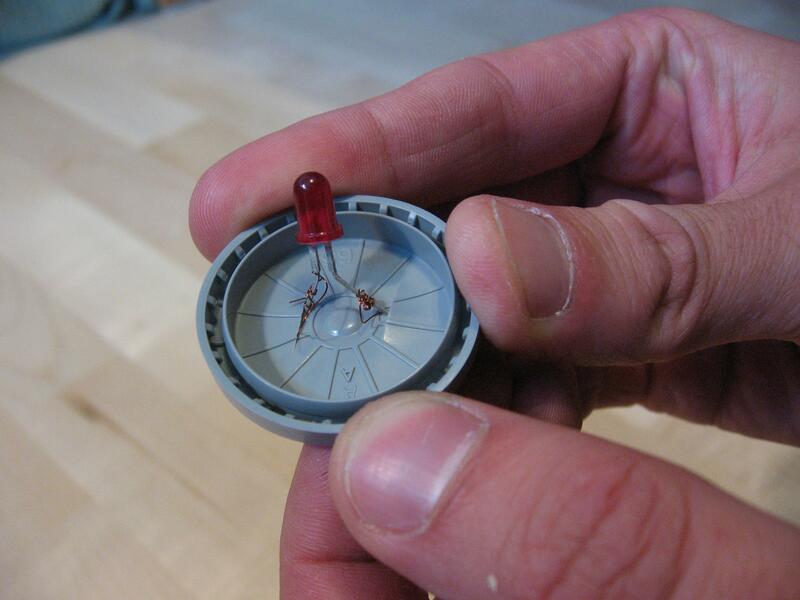 The diode can be installed 'permanently' in the flashlight by pressing its tips on the film box cap. Such prepared diode is shown in Figure 5. The cap with the diode is then pressed on the film box with a cut-off bottom. Fig. 4. Cut off the bottom of the film box. Fig. 5. Fix the diode on the film box cap. Put the magnets connected by the poles into the test-tube and ... your magnetic torch is ready! Now you just have to shake the test-tube : the diode should flash - as in Figure 6. For the toy to last longer, place a little cotton wool in the tube before and after putting in the magnets : the cotton wool cushions the impacts of the magnets on the test-tube wall, protecting it from damage. What happens when shaking the test-tube? The magnets inside move, this automatically causing the movement of the magnetic field. The change in the magnetic field causes current to be generated in the wire. It is worth noting that the diode does not light up before shaking the test-tube : that is, for current to be induced the magnetic field must change. This should shield us against a typical mistake among the students, often forgetting about the word "changing" in Faraday’s law. 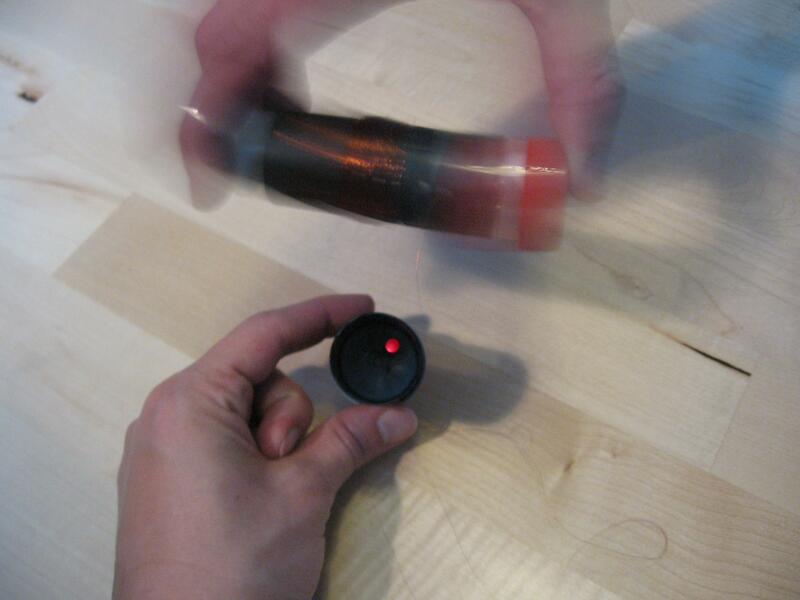 Will the flashlight work if the magnet is outside of the test-tube? For example, a magnet dropped in the direction perpendicular to the flashlight axis fails to cause the diode to glow. But if dropped so that it falls close to the test-tube, parallel to its axis, the flashlight should shine for a moment. In both cases, the field varies in the same way. The main difference consists in the change in magnetic flux with respect to the frame. In the first case, the magnetic flux is practically zero all the time, changing only slightly. If there was an infinitely thin frame and a magnet was dropped so precisely that it moved all the time in the direction of the frame and in the same plane as the frame, such a flux would be practically equal to zero. Such a situation is schematically illustrated in Figure 7. Fig. 7. If the magnet is moving beside towards the frame (e.g., a magnet is approaching the frame, but is moving in its plane), the magnetic field flux is close to 0. In the latter case, changes in the magnetic flux may be large. This situation is illustrated in Figure 8. Fig. 8. If the magnet is moving in the direction of the frame, but not in its plane, then the magnetic field flux can be large. • ultimately it is not the magnetic field itself, but its flux, which induces electricity. For example, the movement of a magnet in a certain direction in relation to the frame determines whether current will be induced. - φ is the magnetic field flux linking the surface of the frame. The denotation dφ/dt is the rate of magnetic flux with time. The formula helps calculate not only the value of induced voltage, but also the direction in which electrons are moving in the frame.